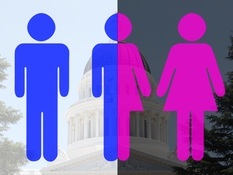 Sacramento, CA–Attorneys filed suit today in state court against state and county officials who refused to accept signatures for the referendum of the “School Bathroom Bill.” Secretary of State, Debra Bowen, and the Registrar of Voters for Tulare and Mono Counties, Rita Woodward and Lynda Roberts, are named in the suit. The California Constitution gives voters a full 90 days to hand in their signatures from when legislation is passed—even if those days fall on a weekend or a holiday. In this case, the final date for submitting the signatures was on Sunday, November 10, 2013. For two counties—Tulare and Mono—the Secretary of State claims that the signatures were submitted too late. Evidence filed with the Court, however, shows that the packages containing the signatures were presented at these county offices on the 88th and 89th day—a Friday afternoon and a Saturday. In Tulare County, the county mailroom clerk simply refused to sign and accept the package from the FedEx driver. In Mono County, the signatures were delivered but county personnel did not process the signatures until after the deadline. In papers filed with the Court, PJI attorney Kevin Snider submitted a sworn declaration stating that he made arrangements for 18 different counties up and down the state to open on Sunday—the 90th day—in order to receive the boxes of signatures. “Officials from these 18 counties understood their obligations under the California Constitution,” said PJI president, Brad Dacus. “It is ironic that California’s chief elections official does not give a second thought to disenfranchising the voters from Tulare and Mono counties,” Dacus continued. PJI and the Privacy for All Students coalition is committed to make certain that every signature is counted. The law firm of Sweeney-Greene of Elk Grove is serving as lead counsel on this case.